Cubico is an online and offline program that is specially designed for young children. Cubico engages preschoolers with tangible physical objects and illustrative visual aids. Cubico is designed to teach children how to code movements through the use of interactive Augmented Reality platform together with fun stories to help them understand coding easily. 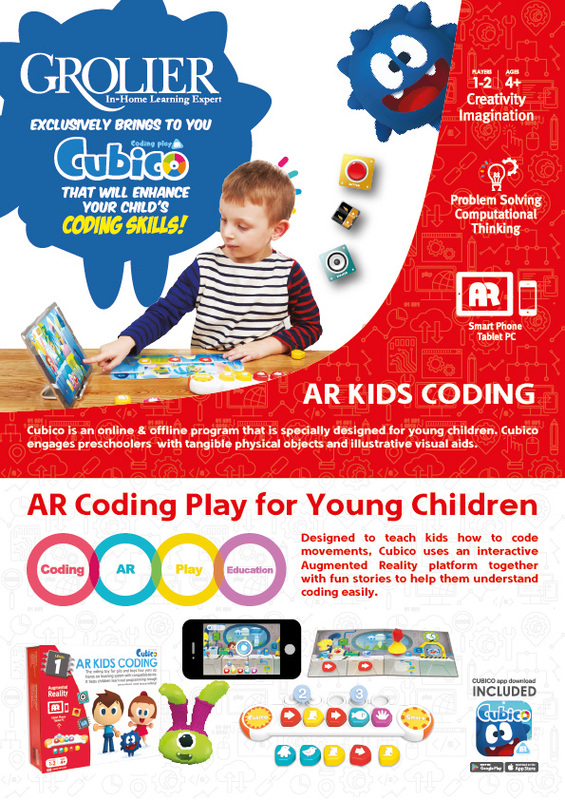 Cubico’s interactive augmented reality platform offers a fun way to learn coding. Connect modules with various functions by moving the characters using Cubico coding blocks. Turn on the lights, make a sound and move the machine! 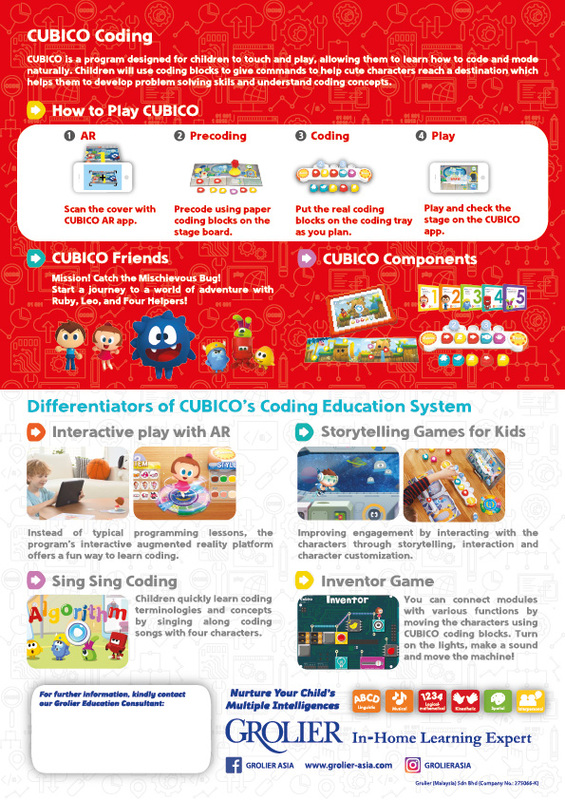 Children quickly learn coding terminologies and concepts by singing along coding songs with Cubico characters. Improving engagement by interacting with the characters through storytelling, interaction, and character customization.